There’s no need for a Tardis or DeLoreon to time travel in Yorkshire after a new campaign is launched to entice tourists to explore the county’s rich past. Around 40m visitors come to Yorkshire every year for heritage- rated tourism, which is more than the typical number of visitors to Times Square in a year – the most visited tourist attraction in the world. Tourism agency Welcome to Yorkshire has teamed-up with English Heritage to create a new guide to the county’s heritage to help encourage more people discover its rich past. 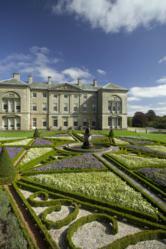 Castles, stately homes and places of worships are all featured in the new pocket guide. It also goes deeper and focuses on different aspects of heritage for visitors to enjoy – including museums, markets and market towns, steam railways, military and re-enactments and waterways. Heritage events will also be included to help encourage families to enjoy a heritage full day out. There are over 32,000 historical buildings and monument in Yorkshire, including some of the world’s best. York Minster is the largest medieval Gothic cathedral north of the Alps, Fountains Abbey is England’s largest monastic ruin and Brodsworth Hall is one of England’s most complete surviving Victorian houses. Gary Verity, Chief Executive of Welcome to Yorkshire, said: “Our county has an unrivalled amount of spectacular historic buildings and locations – we actually have more listed buildings in Yorkshire than there are châteaux in France, so it makes perfect sense to capitalise on that wit this campaign. Welcome to Yorkshire is the official destination management organisation for Yorkshire, working to grow the county’s visitor economy. Welcome to Yorkshire is funded by Yorkshire Forward, the Regional Development Agency charged with improving the Yorkshire and Humber economy, and Welcome to Yorkshire members.